Chi Kung (qigung) is a healing art for strengthening or enhancing health that was very likely developed out of the ancient exercise of Daoyin. Daoyin is discussed on many ancient relics, and reference is made on bronzes of the Zhou Dynasty (1100-221 B.C.). Chi Kung literally translated means Breathing Exercise, and to this day the quality of breathing and method of practice is essential in Chi Kung. While the practice of Chi Kung is ancient, such as the Five Phases of the Swimming Dragon Chi Kung, there are also modern developments. The Eight Methods and Five Phases of the Wu Style T'ai Chi Chi Kung forms are just one example of comprehensive, in-depth modern Chi Kung. Another example is the Soaring Crane system of Chi Kung, which has taken simplicity and self-activated meditation to a new level. There are also modern health exercise systems that are related to Chi Kung, but have been tested and used to support healing with patients of acute pain, such as Dr. Zhuang Yuan Ming's Liangong system of health exercises (Liangong Shi Ba Fa). Daoyin exercises as drawings on silk unearthed from Han Dynasty tombs near Changsha, Hunan Province. Such drawings have served as a major influence in the development of modern Chi Kung practices such as: Liangong in 18 forms. Each of the systems of Internal Martial Arts such as: Hsing-I Ch'uan, Pa- Kua Chang, and T'ai Chi Ch'uan have their own sort of Chi Kung. 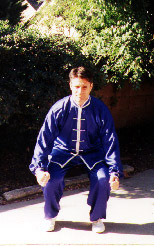 While the practice of the main forms of these Chinese Internal martial arts are in essence forms of Chi Kung themselves, the Chi Kung sets within these systems are methods designed to focus more intensely on developing specific joints, stimulating acu-meridian channels and points; as well as enhancing flexibility and strength. For example, the practice of Zhangzhuang, or standing meditation, is in itself Chi Kung. Usually standing involves postures which encourage the practitioner to hold their arms up for a minimum of 20 deep breaths. Initially, this is painful to the shoulders, neck, or even to the feet. As the practitioner is able to stand for longer periods of time, they are also more able to redistribute their energy. More able to relax the stressed areas by concentrating on other joints that may otherwise be dormant. However, with a concentrated effort, small movements of the body's joints enable the energy to more freely move, and not be held onto at era in points. If a beginning practitioner holds their arms up, palms facing inward, and at shoulder level, after only a short time, they will likely feel stress in their shoulders or neck. However, by concentrating on relaxing the elbows and allowing them to expand on a microscopic level they will begin to release stress held at the shoulders, and allow their energy to move more freely throughout their body. This concept of releasing at areas away from stressed areas becomes more care-free when combined with the practitioner's natural breathing. Thereby enabling the practitioner to release a multitude of stress and circulate even more of their energy with each and every breath. Chi Kung as well as health exercises such as Liangong in 18 forms focus on specific areas. Whereas martial arts forms and practice focus on developing the entire system as one force. This is in some ways a contradiction, because even focusing on one point the size of the tip off a small needle can become a microcosm unto itself. Involving the practitioner's entire being in focusing on one small point and expanding outward and cycling inward around that one point, channel, or area. 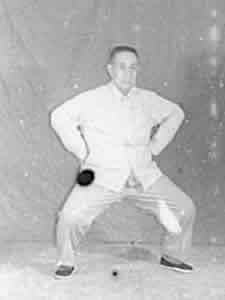 Hsing-I Chi Kung developed early on and was called Nei Kung, or inner exercise. The exercises are done slow and methodically, but often focus on one point or area, and through slow, unforced repetition train the specific point to become resilient and release and gather energy from that point. Hsing-I Chi Kung often combines the exercises combined with physical attributes to vibrate sounds internally and externally to further release and circulate energy. These attributes and sounds were first exposed to the public, through the Emperor Huangdi's conversations on the existence of humanity and interactions with the Earth and Universe around them with his teacher/student Uncle Chi, and by some accounts his mentors Qi Bo and Lei Kung. These Taoist ministers enlightened the young Emperor with the Five Constellations and how these groups of stars, later known as the Five Phases or Five Elements, may be a way of explaining cyclical and destructive cycles in the earth's existence and how these patterns may affect human's lives. The conversations are well documented in the classic book, available in English, The Yellow Emperor's Classic of Medicine or Neijing Suwen. Select sounds or vibrations beginning in the nose for metal, the ear for water, the eyes for wood, the tongue for fire, and the lips for earth spread outward and encourage a more specific, subtle circulation of chi. These "healing" sounds (or, sounds that encourage the flow of chi) are not the Chinese words for these elements, but are instead unique sounds based on notes of ancient instruments and are further aspirated in the first and third tones in Chinese, that correspond to hollow or solid organs respectively. An in-depth study of Hsing-I Chi Kung hopefully leads the practitioner out of looking at only one way of interpreting the phases to a broader base of interpretation and application. For example, one mistake has been to associate splitting with metal, and only with the chopping action of the axe from the standing position, instead of recognizing all the attributes associated with the constellation of Metal as observed in the western night sky, the observations of the limitless possibilities as outlined in classic texts, and the limitless possibilities observed by the practitioner them self. 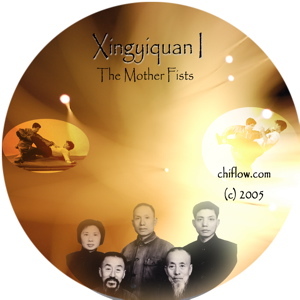 One such classic text is Jiang Rong Qiao's "The Mother Fists," which presents the concept of splitting with more universal application, as well as the liangong aspect of Xingyi's Chi Kung. Pa-Kua Chi Kung combines both aspects of polar and cyclical applications. The polar and cyclical aspects may have been developed from the mutual and destructive cycles of the Five Phases respectively. One method of Pa-Kua Chi Kung is to perform the tea cup exercise which involves rotating the arm cyclically, while moving the arm up and down, left and right, and to four diagonal corners. Another basic method is to walk the circle (or octagon) using the Tang Nei Bu, or Mud Sliding Step for a total of 64 steps before going back the other way to perform 64 steps in the other direction, symmetrically. A walking meditation that entails 128 steps a set for a total of 8 sets, for a grand total of 1024 steps with the arms remaining outstretched; palms facing upward to the sky. While the hands during this practice are to remain relaxed, they are not passive whatsoever, and maintain a shape which stretches the fingers and concaves the palms. Additionally, during the circle walking the body follows the hands and is in a constant state of change, as if constantly "becoming" a shape with each and every step. While the main step used is the Tang Ne Bu (or, Mud Sliding Step), this does not mean that the foot ought to be drug on the ground. Instead, the sole of the foot is hollowed, the ankle relaxed, and the feeling is such, as if the foot is sliding on a slick surface like mud. Otherwise, it is a natural step, that combines releasing the tailbone with steps that are continuous and smooth. 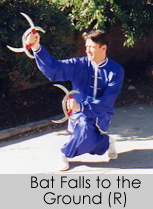 Bagua Circle Walking Chi Kung is often further enhanced by a unique practice known as Bagua Mu Zhang, or Mother Palms practice. In the Mother Palms, the same method of 1,000 steps is encouraged, but the shapes of the palms corresponding to each of the Eight Trigrams of Bagua are formed. These palms further correspond to acu-meridian channels and points to enhance health and encourage meditation. T'ai Chi Chi Kung, of the Wu Style T'ai Chi, is broken down into two parts. The first part known as the 8 Methods, or the Old 13, focuses on breaking down the body into sections or joints, and circulating the energy through repetition, both by combining the polar and cyclical aspects as outlined in the symbolic theories of Pa-Kua (Bagua). The Eight Methods are: Gathering, Circulating, Guiding, Balancing, Spiraling, Blending, Synthesizing, and Storing. The second set, or Wu Xing Kung as it is called, is based on the 5 Phases (or, Wu Hsing) This supplemental Chi Kung practice of the Wu Style bases its movements on the written characters of the phases in the order of Metal, Wood, Water, Fire, and Earth. Which is the polar organization of the Five Phases. While it appears on the surface to be much more gross and easier to do than the Eight Methods, in fact it is much harder than the first set and takes a great deal more relaxation and it is understood more comprehensibly through patience in practice over time. In short, it is a challenge that offers rewards initially, and, yet, over the long term yields even more upside. 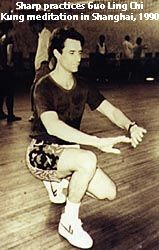 Other advanced practices in Wu Style such as the Lan Cai Hua (Wu's S-Curve form) and Wu's Hsing-I Form (similar to Hebei Hsing I's Pao Ch'uan), are martial, but no less are Chi Kung methods meant to carry forth T'ai Chi power with specific, efficient methods of internal power and efficient, minimal methods of attack and defense. Another Chi Kung practice that bases its shapes on the written Chinese characters for the Five Elements is known as the Swimming Dragon Chi Kung. 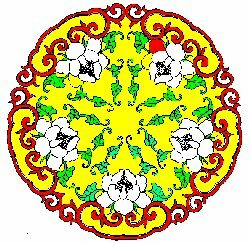 This comprehensive set of Chi developing exercises combines moving, standing, and sitting meditation, as well as healing sounds that are aligned with the generative order of the Five Phases (Wood, Fire, Earth, Metal, and Water) and both the Yin and Yang channels associated with each phase. While each of the Five Phases of practice offer their own unique benefits, unfortunately, we've only seen the Metal aspect of the system presented in any media. Additionally, the sitting meditation focuses on development and exercise of chi along the eight extra channels (Du, Ren, Chong, Dai, Yinwei, Yangwei, Yinqiao, and Yangqiao) and the application of Yin and Yang within these channels. The Swimming Dragon Chi Kung is one of the earliest forms of Chi Kung practice, and is attributed to the Yellow Emperor (Huang Di), whose book, "The Internal Classic of Medicine," details the Five Phases and the foundation of Traditional Chinese Medicine. Whether it is actually from the Yellow Emperor, who himself is a legendary figure by some accounts, the practice is very closely aligned with the suggestions of practice which, as previously discussed, are outlined in a series of conversations between the Yellow Emperor and his student/teacher, Uncle Chi, in the "The Internal Classic of Medicine," which serves as the basis for Traditional Chinese Medicine. One of the hallmarks of the Swimming Dragon practice is an emphasis on twisting and on postures which place gentle pressure on joints and connective tissue. Some practitioners claim to gain increased concentration that allows them to have more mental endurance and continue working and performing for longer periods of time, while others swear by their stronger lower back and improved balance. 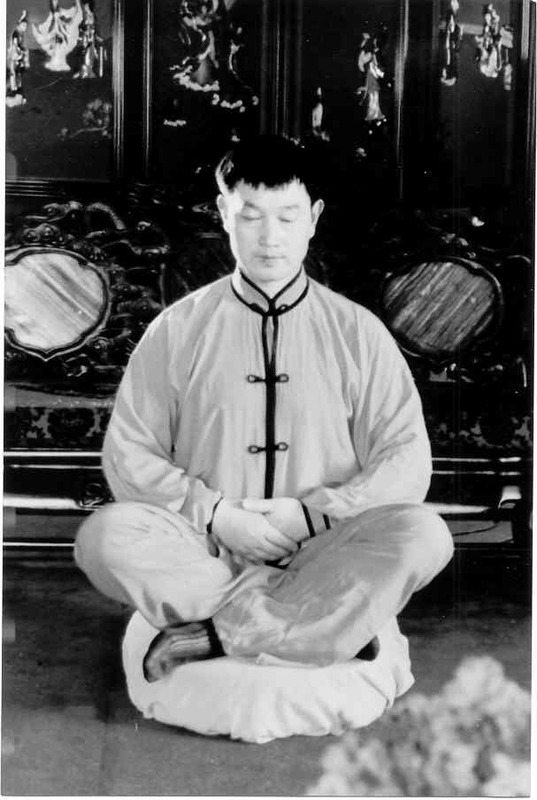 Later developments such as Dr. Zhuang Yuan Ming's Liangong in 18 forms (1974) and Zhao Jing Xiang's Soaring Crane (1960) have been viewed as breakthroughs in modern Chi Kung. These methods have taken the practice of ancient Chi Kung and exercises to a specific level designed to attack more modern forms of stress using the elaborate ancient methods combined with rigorous, modern scientific testing. The result is a complete set of therapeutic exercises for preventing and healing pains in the neck, shoulders, back, waist, legs, and other ailments; especially arthritis and more severe acute pain. It has been developed and gradually perfected on the basis of 1) Ancient Chinese Sports Therapy such as: Dao Yin (Breathing Exercises), Wuqinxi (Five Animal Game), Baduanjin (Eight Section Exercises), and Yinjinjing (Changing Muscles); 2) Findings of the causes and pathology of the previously mentioned pains; and 3) The curative methods of massage. Three series were developed by Dr. Zhuang. The first focuses on stress, strains, and sprains in the neck, shoulders, back, waist, and legs. The second focuses on joints and internal organs, while the third, or Yi Chi Kung, focuses on the development and enhancement of chi. The third series is a superior improvement and compilation of the first two series, yet emphasizes a specific method of breathing, which induces a meditative, yet internal strengthening response. 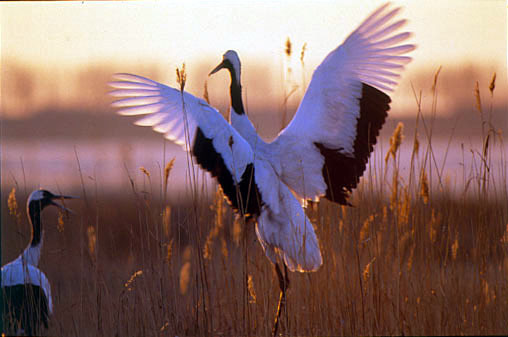 The Soaring Crane is a bird that symbolizes long life. It's movements are quiet and peaceful, relaxed and comfortable. Because of it's gracefulness and specific attention focused directly on therapeutic points, the Flying Crane is a very subtle yet powerful form of Chi Kung. Like the Crane it is quiet and reflective nurturing six main points: round, far, soft, continuous, slow, and happy. The form includes a very active self activated standing meditation which invites the practitioner to free themselves of all blockages and engage the body, mind, and spirit in an altered state free-for-all. Breaking through self imposed limitations of balance, perspective, and movement. Finally returning to a calm, relaxed closing form. Regardless of their degree of involvement, their particular branch, or method of practice, Chi Kung practitioners generally agree that disease and discomfort develop over a period of time along points, channels, or meridians that are connected to the internal organs of the body. The channels are not to be confused with blood vessels or nerves. Therefore, when your energy is blocked anywhere in your body, exercise which stimulates the flow of chi (or energy) where it is blocked is most beneficial.